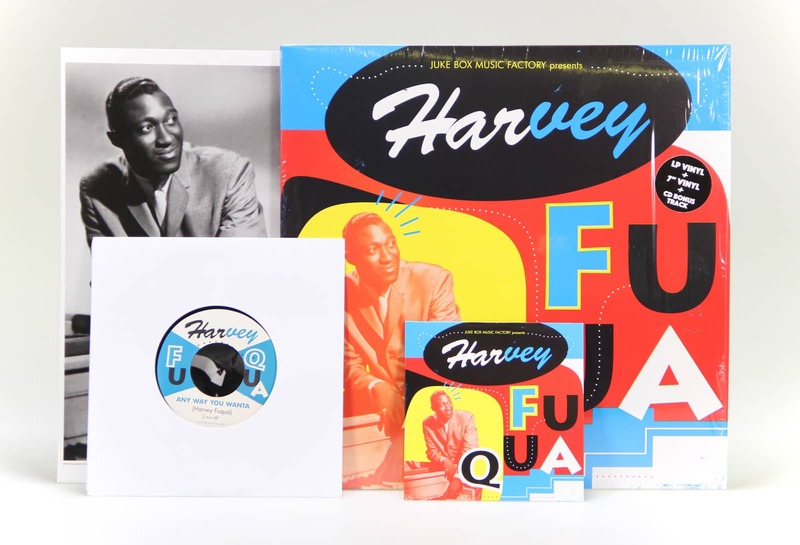 From doo-wop to disco, from Chess Records to Tamla Motown, Harvey Fuqua left his indelible mark on North American music. Yet his name remains largely unknown to the general public, excepting those few who obsessively scrutinize album backs. It must also be said that this native of Louisville, Kentucky pursued several concurrent careers, thereby covering his tracks a bit further... Upon consideration, one could say his destiny was predetermined, for his uncle was none other than Charlie Fuqua, member of the Ink Spots, the group that during the 1930s and '40s had laid the foundations for the doo-wop of the '50s. 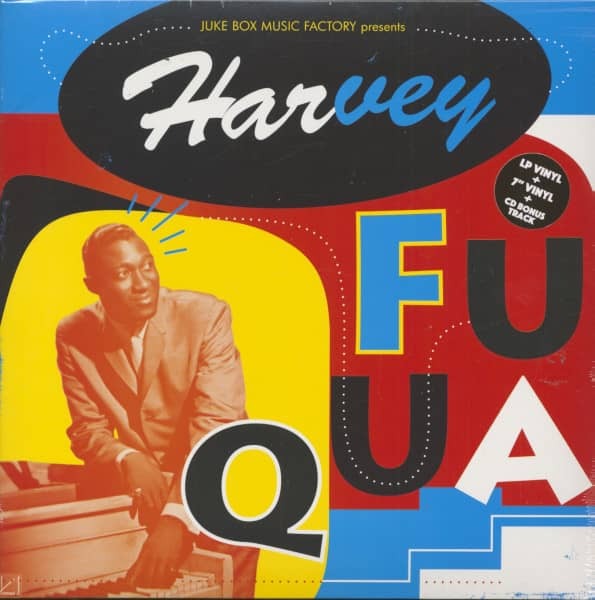 Continuing the family tradition, young Harvey, a trained pianist, saw his fate definitively sealed in 1951 when the early Moonglows (at that time "Crazy Sound") first formed and settled in Cleveland, Ohio. The following year, the group caught the attention of the very influential DJ Alan Freed, a leading promoter of R&B, who would sign them under his own label, Champagne Records, in the process renaming them The Moonglows. There then began an intense decade of incessantly changing labels and going on tour, while enjoying both local popularity and recording genuine hits, such as Sincerely in 1954. Finally, covers of their repertoire by others firmly established their reputation. Most importantly, Harvey Fuqua learned the ins and outs of the trade, as a singer, composer, arranger and producer. With his strong character giving rise to numerous disagreements regarding the particular path to follow (notably whether or not to emulate the Platters), the ensemble was permanently evolving, incorporating a certain Marvin Gaye along the way. In 1958, Fuqua set off on his own with Don't Be Afraid of Love, co-written with Berry Gordy Jr. and Billy Davis. His meeting with the former proved capital beyond the merely professional, for Fuqua ended up marrying Gordy's sister, Gwen, in 1961 (they would later divorce in 1967). From the late 1950s to the early 1960s, Fuqua stepped behind the console, notably for the label Anna Records. With Anna Gordy (another Gordy sister) and Billy Davis, he recorded Lamont Dozier (future hit-maker for Tamla Motown) and Johnny Bristol. At the same time and still for Chess Records, he pursued his collaboration with the very popular Etta James. 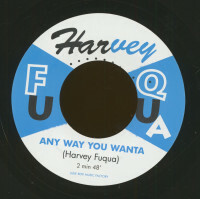 Ever more interested in the creative side of things to the detriment of the stage, Fuqua decided to launch his own labels in 1961 - Tri-Phi (24 singles) and Harvey Records (12 singles) - signing The Spinners, Junior Walker & The All-Stars and Shorty Long. With his entrepreneurial skills seducing Berry Gordy Jr., he was named head of the Artist & Repertoire department at Tamla Motown, with his own labels being absorbed by Gordy's company in 1963. There, surrounded by his "family" Gwen and Anna Gordy, Maxine Powell and Cholly Atkins, he managed to bring along The Spinners and Johnny Bristol and, above all, confirmed his own status as the artisan behind the success of the irresistible couple Marvin Gaye and Tammi Terrell, with such splendors as Ain't No Mountain High Enough. Leaving Tamla Motown in 1971, Fuqua became an independent producer for RCA. Despite a brief return of The Moonglows in 1973, he preferred expressing himself as a talent scout, bringing to light New Birth and most notably the disco diva Sylvester in 1977, for whom he became the executive producer at Fantasy Records. Five years later, his genius struck gold yet again when he produced Midnight Love - including the hit single Sexual Healing - by his old buddy Marvin Gaye. A faithful friend, he remained close to Smokey Robinson during the 1990s, prior to his founding a new label, Resurging Artist Records, in 2000. That same year, The Moonglows were inducted into the Rock and Roll Hall of Fame. According to an anecdote, a VH 1 press attaché, verifying accreditations, asked the reporter Bob Davis who "Fuqua" was, thinking it must be a concierge! Cruel, but perhaps also revealing for this bigger-than-life yet nevertheless anonymous figure of the music industry. 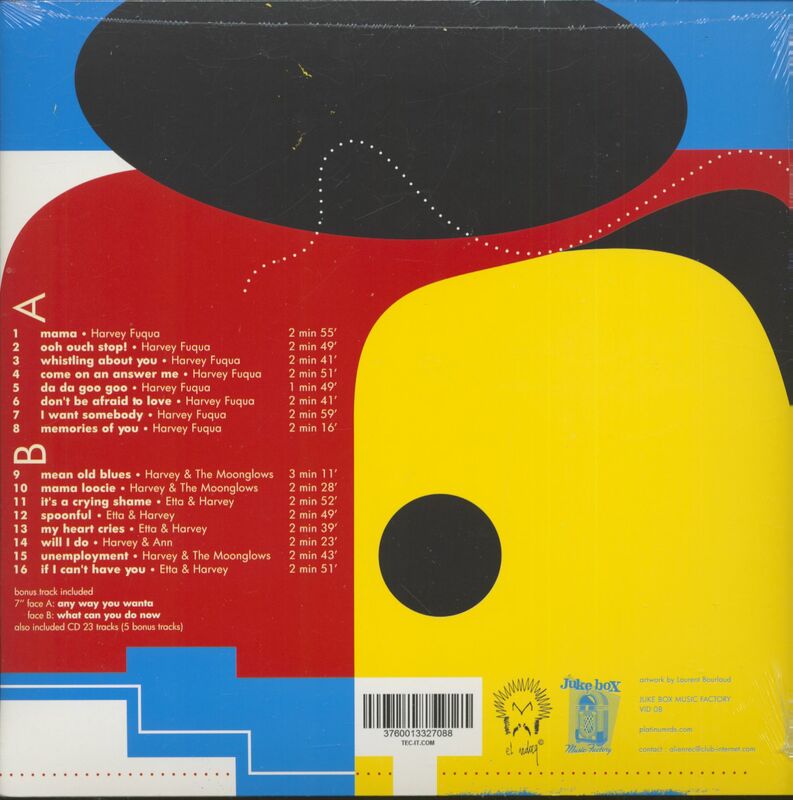 Customer evaluation for "Singles Collection (LP+7inch+CD)"